After securing all three points against Tottenham on Saturday, it should have been enough of a reason to lift Man Utd boss Jose Mourinho’s spirits. However, he still managed to find a way to express his displeasure as he made a ‘shush’ gesture at the cameras after his side’s 1-0 win at Old Trafford. Victory ensured that United didn’t lose further ground on rivals Man City at the top of the Premier League table, but ultimately Mourinho still had a message for the critics as his side passed an important test playing the way that they deemed to be the best strategy to claim the win. 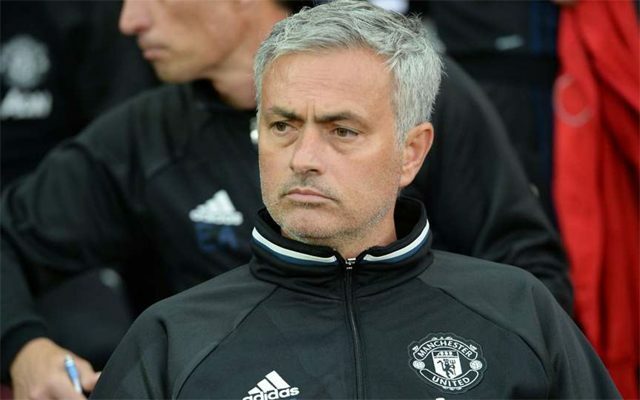 In turn, Murphy believes that the Portuguese tactician actually quite ‘likes being miserable’ as it seemingly works for him, but importantly, he didn’t just take a dig at Mourinho as he also defended his defensive approach to certain games. After 10 games, United boast the best defensive record in the league, and if it continues to help deliver results and potentially trophies, then Mourinho won’t mind one bit if certain sections of the media or supporters don’t like it. Murphy in fact praises him for organising his teams so well, as although the general consensus is that entertainment comes through plenty of goals and opportunities to score, others look at the tactical battles and ways to nullify the opposition as being sources of excitement too and rightly so. "He's somebody who likes being miserable generally."